The new film from Studio Ghibli, the internationally renowned creators of “Spirited Away,” “Ponyo” and “The Secret World of Arrietty,” opens in California this week. 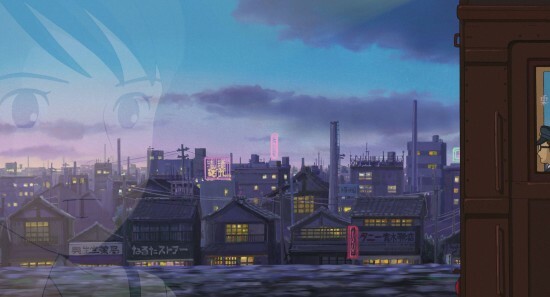 “From Up on Poppy Hill” (Kokuriko-zaka Kara), based on the graphic novel by Chizuru Takahashi and Tetsuro Sayama, is a highly anticipated coming-of-age story directed by Goro Miyazaki from a screenplay by his father, renowned animator Hayao Miyazaki, and Keiko Niwa. This marks the first feature film collaboration between father and son. Set in Yokohama in 1963, this lovingly hand-drawn film centers on Umi and Shun and the budding romance that develops as they join forces to save their high school’s ramshackle clubhouse from demolition. In an unexpected twist that parallels what the country itself is facing, a buried secret from their past emerges to cast a shadow on the future and pull them apart. The story takes place in a Japan that is picking itself up from the devastation of World War II and preparing to host the 1964 Olympics. The mood is one of both optimism and conflict as the new generation struggles to embrace modernity and throw off the shackles of a troubled past. The voice cast for the English version includes Gillian Anderson, Sarah Bolger, Beau Bridges, Jamie Lee Curtis, Bruce Dern, Jeff Dunham, Isabelle Fuhrman, Christina Hendricks, Ron Howard, Chris Noth, Emily Osment, Aubrey Plaza, Charlie Saxton, Alex Wolff and Anton Yelchin. 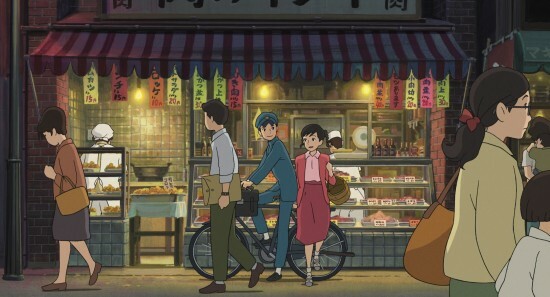 The top-grossing Japanese film of 2011, winner of the Japan Academy Prize for Animation, and an official selection of the Toronto International Film Festival, “From Up on Poppy Hill” captures the innocence of new love as well as the beauty of Yokohama’s harbor and lush surroundings. “Its visual magic lies in painterly compositions of foliage, clouds, architecture and water, and its emotional impact comes from the way everyday life is washed in the colors of memory,” said The New York Times. The movie’s U.S. premiere was in New York on March 15. California dates and locations are as follows (subject to change; check local listings). 10:15 a.m., 12:30, 2:45, 5, 7:15 and 9:25 p.m.